bring back customers and increase revenue. Send targeted offers to your customers via SMS to increase footfall & revenue. Reward your loyal customers with exciting discounts when they repeatedly visit your shop. Get a better understanding about how your business is doing by analyzing customer bills. Send targeted offers by looking at your's customers purchase history to maximize per customer revenue. 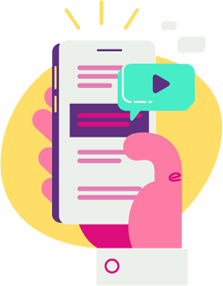 Our app helps you to run effective SMS marketing campaigns. Customer behavior is an invaluable asset for your business. We allow you to add bills for customers. Bills help you analyze your customer's spending pattern. How often does your customer visit my shop? What's the average bill amount for my customers? Which customers are most likely to avail a Diwali Special offer? 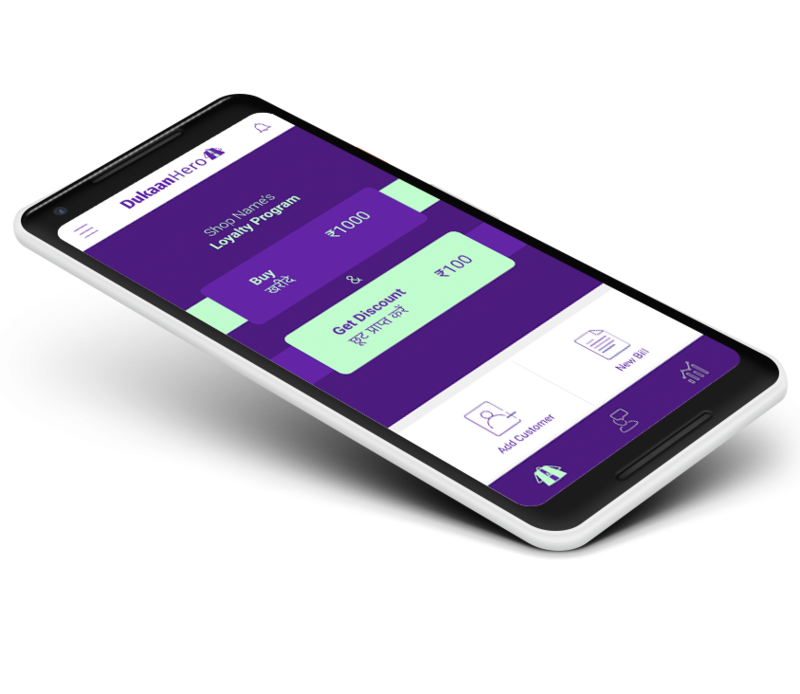 Manage bills from your app without purchasing expensive hardware. Start adding bills by just entering customer mobile number and amount. This helps you track your revenue numbers. Based on your sales pattern you will know the best time to run your offers. How much was my revenue for the day, week or month? What months have relatively low sales at my shop? What offers should I send to increase sales for those months? Keep your customers informed about new products, offers and discounts. It's extremely important for you to keep your customers informed. Let's say, you have a new Diwali collection available at your shop. Several customers might be interested, but you will lose that business if they don't even know that you have some fresh stock. 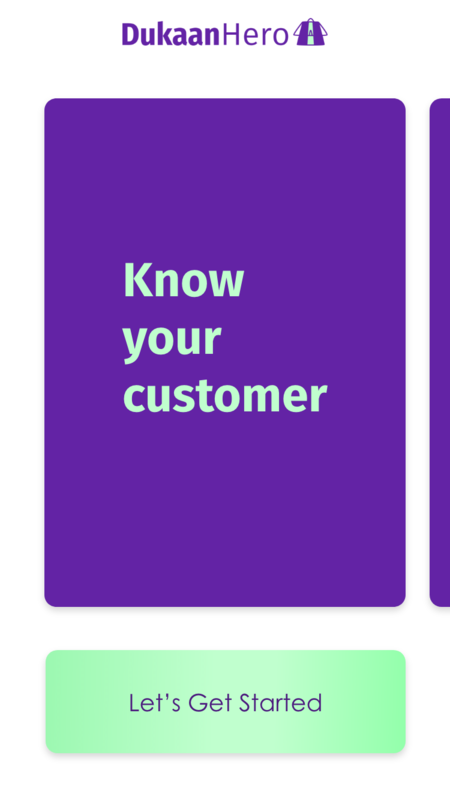 Keeping the customers in the loop is the key to increase customer engagement. Suppose if you are planning to clear your stock and you let a customer know that the products are available at a discount price. Customer loyalty that such communication brings is vital for the growth of your business. Nobody knows your business better than you. We help you take a closer look at it. Business decisions backed by insighful reports provide best results. We try to help you make those decisions by providing you smart suggestions based on your data. 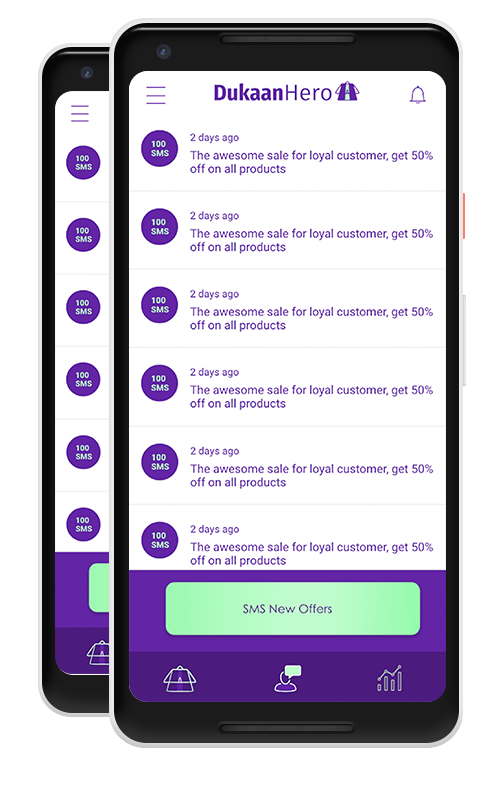 Setup a loyalty program for your customers from the app. We notify users about the amount they need to spend to get a loyalty discount. A tried and tested method to bring your customers back to your shop. Opt for our monthly or yearly recharge plans based on your requirement. Stay in touch with your customers by sending personalized offers. Run a loyalty based discount offer suited for your business. I have been using DukaanHero for my general store. I was able to see a increase in my monthly sales by offering a loyalty program to my users. My cusomters love the personalized offers I send them for my salon. It worked great for me for sending wedding season special offers. Yes. You can try the app for 7 days for free. You also get 10 free SMS messages to test the app. Let us know if you face any problem in using the app in trial mode. We support payments via secure payment gateway by Paytm. Supported payment methods include Net Banking, Debit Cards, Credit Cards, Paytm Wallet & UPI. How do I send offers to my customers? Select the 2nd tab in the app. 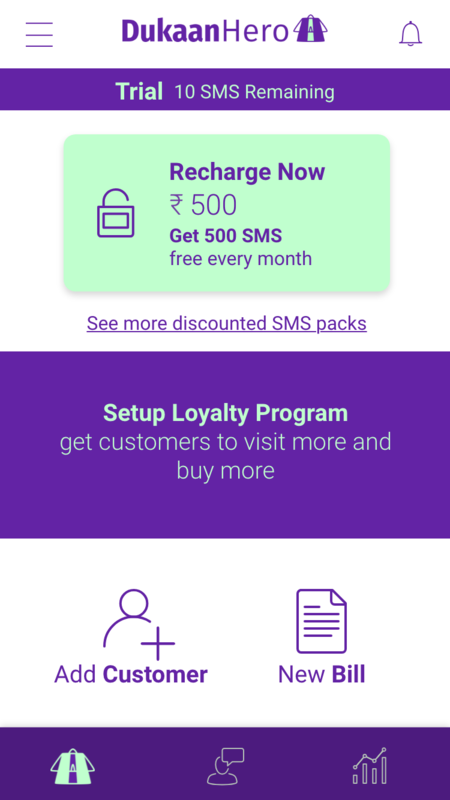 Click on "Send SMS Offer". This will let you type the message that you need to send to your customers. On the next screen select customers to send the message. How does the loyalty offer work? 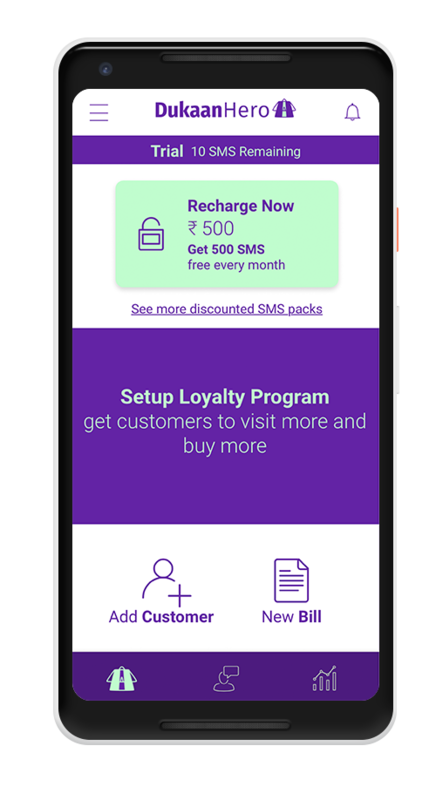 Loyalty offer allows you to set a billing amount and a discount amount. 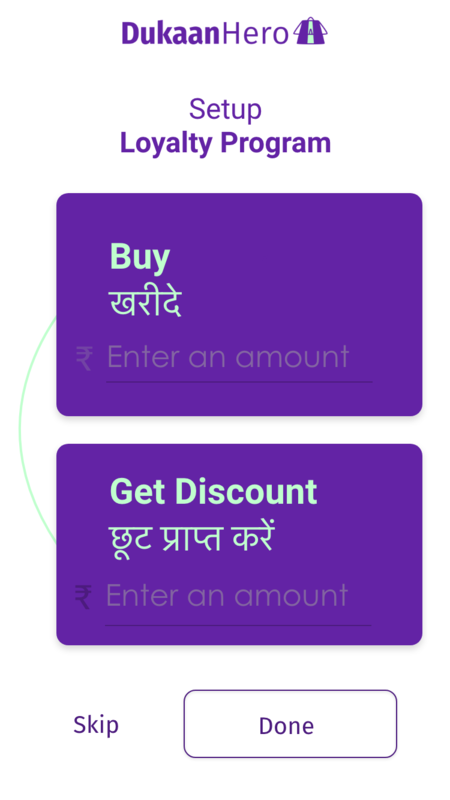 For example, you can give a discount of Rs.100 when the user's total purchase reaches Rs.1000. You will set Rs.1000 as the billing amount and Rs.100 as the discount amount.